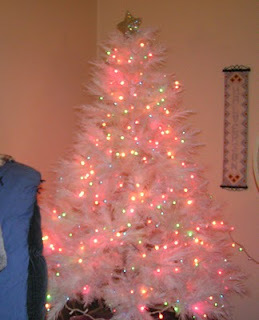 The Bobbilicious Files: My Pretty Tree! I just wanted to share a picture of my tree. We don't have any ornaments on it - might not put any on at all, either. The way the lights glow off of the white is festive enough for me.